If You Really Thought "Thing A" Was Bad Would You Contribute to "Thing A"? I see this all the time. People scream that we need to conserve our resources. That we need to “Go Green”. That we need to pass massive legislation that forces us to use less energy. Then they go and not conserve our resources, they don’t go green and use a TON of energy. What kind of U.N. environmental ambassador builds a 20,000 square-foot home with a six-car garage, an elevator and a lagoon? Why, that would be the Hub’s favorite Pats fan, Gisele Bundchen! The Left just is brimming with outrage over the abuses of the rich. And then, when given the chance to reign in their ow excesses..well, quite simply, they don’t. What they DO, however, is build 20,000 square foot homes filled with every imaginable luxury. Don’t get me wrong. 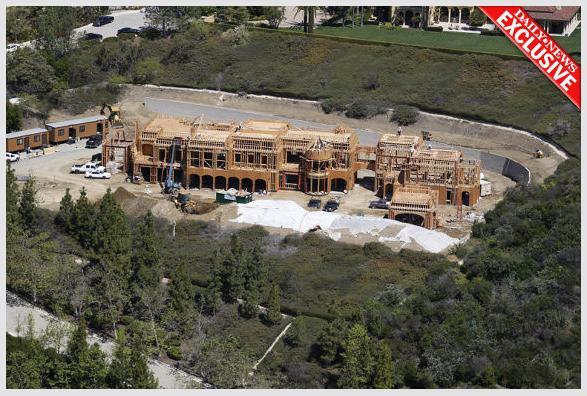 I think that the Brady’s can buy whatever they want with their money. I just think that I should be able to do the same. This entry was posted in Energy, Global Warming, Politics: National and tagged Environment, Green Jobs, Leftist. Bookmark the permalink. Pino: This is not a woman I’ve ever heard of, and I loathe that kind of excess. How is she the ‘left’?? How is she the ‘left’?? Because the Right doesn’t have “U.N. environmental ambassador”. That’s absolutely correct – the right doesn’t do environmental stuff and the right doesn’t do the UN – and Harry Truman and Dwight Eisenhower be damned! Anyway, you forced me to use teh google. Did you know she’s Brazilian? She served for six months (maybe the UN wasn’t too crazy about her activities after all). The new environmental goodwill ambassador is an Indian soccer player. The new environmental goodwill ambassador is an Indian soccer player. Saw that. Hate it too. That doesn’t mean I don’t agree with Gore’s message; it means I think his message would resonate a lot better if he lived a little smaller. Of course, we dont know if that’s hypocricy or financial planning . . . I think his message would resonate a lot better if he lived a little smaller. I think that even HE doesn’t believe his message. Oh, he believes it. He has – and I beleive this – has dedicated his life to educating us about the danger. And as for believing Pino, in spite of the tempest in the Cambridge teapot and the 1.5% of the world scientific community that doesn’t believe it, I’ll go with NASA, NOAA and The Pentagon. They’ve proved pretty reliable. I just noticed I don’t have you on my blogroll. Fixing that right now!